The Department of Education Region XI sponsored a Two Day Live Out Training on Computer Troubleshooting and Maintenance Course at STI College, J.P. Laurel Ave., Davao City on different schedules. Schools were identified and the expected participant is one teacher/employee per batch, who is in-charge of maintaining the ICT equipment and/or multimedia packages. The Division of Davao Oriental was scheduled on November 27-28, 2008 for the elementary schools and December 1-2, 2008 for the secondary schools. The resource person was Christine Anne Justol of STI College. 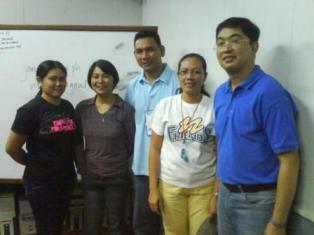 Ms. Alma T. Cafe attended the training from the Lupon Vocational High School. 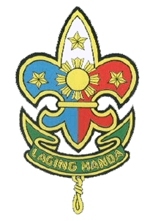 After the successful hosting of the 2008 Provincial Meet, the Municipality of Lupon will hold the 17th Provincial Boy Scouts of the Philippines Jamborette on November 25-30, 2008 with the theme ” Scouts: Creating a Better World”. It will be participated by different schools of the entire Davao Oriental both elementary and secondary. This event is supported by Governor Corazon Malanyaon, Provincial Officials, Local Government Units of Lupon and Heads of different Municipalities. In order to enhance their skills and to upgrade their knowledge to the new technologies being integrated in today’s high school curriculum, the school sent teachers in the persons of Ms. Alma T. Café and Mrs. Dalisay C. Estabillo to attend the SSP ICT Integration Training on Discovering and Creating Digital Communities conducted at Xavier University, Cagayan de Oro City last May 26 to 28,2008 . The said training was sponsored by Smart Schools Program which aims to help teachers in making their lessons in class more creative, alive and meaningful through the use of the new technology – computer and internet. The trainees were taught how to mine the internet, create web blogs, and produce a digital photo storytelling and to make a power point presentation using Marvin, the new animation software. After the three day seminar, Ms. Café and Mrs. Estabillo attended another workshop on Web-based Community Mapping Tools which was still sponsored by Smart Schools Program held at the same venue last May 29 to 30,2008. This time they were joined by Mrs. Elfleda C. Dionio. The main objective of the workshop is to create a school website wherein teachers and students will conduct a community-based research for the purpose of taking action or affecting social change. Last September 10 to 11, 2008, Ms. Alma Café, a computer educator and ICT trainer for Davao Oriental attended the 3rd National ICTs in basic Education Congress held at Waterfront Hotel, Cebu City, organized by DepEd, Foundation for IT Education and Development, Inc. (FIT-ED), and University of the Philippines Open University (UPOU). This year’s theme was “Teaching the net Generation: Curriculum, pedagogy, and the challenge of 21st Century Learning”. The Congress generally aims to look at new developments and emerging trends across the country in the use of ICTs as teaching and learning tools, what methods have worked and why, and the extent to which we have been able to use ICTs to help our students master core content, communicate effectively, think critically, collaborate with one another, and create their own knowledge products. Distinguished speakers and guests were Roberto R. Romulo (Chairman Foundation for It Education and Development), Grace J. Alfonso (Chancellor, University of the Philippines Open University), Jesli Lapus (Secretary, DepEd), Jesus L. R. Mateo (Assistant Secretary, DepEd), Philip Wong (Associate Professo and Divisional Director of Academic Computing and Information Services, National Institute of Education, Singapore), Jan Herrington (Associate Professor, the University of Wollongong, Australia), Patricia B. Arinto ( Associate Professor, University of the Philippines Open University), Nemah N. Hermosa (Vice Chancellor for Academic Affairs – UPOU), Teresita G. Incion (Assistant Secretary, DepEd), and Victoria L. Tinio (Executive Director, Foundation for IT Education and Development) and among others. Demonstration Sessions were conducted along with educators in order to introduce the features and functionalities of the teacher’s workspace, use this application to create original teacher assessment tools from scratch and show how sample assessment tools from the Assessment Library may be modified to support teacher’s assessment of thinking skills, processes, products and performances. Another batch of teachers were sent for another training on Drop out Reduction Program (DORP) Implementation held last November 3 to 7,2008 at Cebu Business Hotel, Cebu City .The teachers who attended the training were Mrs. Trifina F. Simo, Mrs. Josefina Arbol, Mrs. Mary Jean Alterado, Mrs. Allen A. Rodriguez and Mrs. Doris D. Macarona. The purpose of the training were to reduce, if not totally eliminate school dropout, increase retention rate, increase significantly the achievement level of the students-at-risk of Dropping Out (SARDO)., retrieve learners who are out of school, increase the capability o schools to establish, implement, monitor, evaluate and continuously improve the DORP, design and continuously improve DORP practices and learning materials and benchmark the best DORP practices. As a response to the Dep.Ed. Memorandum obliging all Public High Schools to conduct a feeding program for students who are undernourished, the School Nurse, Mrs. Loida L.Calicdan conducted the feeding of almost twenty eight malnourished students. The program started last August 11, 2008.The said students gather at the school canteen and partake with the nutritious snacks like “Arrozcaldo, Vegetable Soup, and Binignit” every 3:00 pm in the afternoon This feeding program happens 3 times a week to help improve the health of the students. Kenji Ng, a 4th year student from Lopez-Jaena is now very popular in Lupon Vocational High School because of his competent attacks in playing Sepak Takraw. 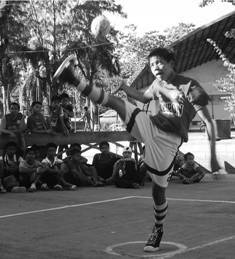 When he was 11 years old he started to love the sport. As a matter of fact, with his years of playing, he already has competed at Mati city, Tagum City, Davao City and Puerto Princesa in Palawan. He has also mastered the skill of managing his time. He studies during class hours and in the afternoon at 4:00pm to 5:00pm, he practices with his team mates. Although this routine makes him exhausted, still his goal will never alter which is, to be one of the delegates for the “Palarong Pambansa “ and to be like his brother. Kenji is an avid fan of his brother, Watanabe Ng, now a famous scholar at Jose Maria College (JMC)-a private school in Davao City. Because of him, Kenji is very inspired to play and ready to sacrifice everything in training himself every afternoon at the People’s Park of Lupon. His inspirations in life are his family: his mother, his father, sisters and brothers who support him. He shares his talents; he hopes he will follow their footsteps. He’s very grateful to the Lord that’s the reason why he can’t say anything but, “The Lord is the best!” for giving them the skills and talents in playing Sepak Takraw. Edgar Eufemio Regidor Jr. of III- Mt. Apo defeated the other contingents from different schools in the entire division of Davao |Oriental after winning the second place in Math III quiz during the Division Science and Math Quiz and Sci- dama Competition held at San Isidro National High School last September 26, 2008. Regidor showed a very nice achievement after grabbing the second Spot in the phase II from being top 10 in the phase I. Other participants who joined the Sci-dama, Science and Math quiz also got places during the competition. Jhon Rey Maniscan from First Year, Paul Mejos from fourth year and Emarjon Colonia from third year got 4th place in Thermo Sci- dama and THI, meanwhile, Federico Franco from fourth year and Jun-jun Montera from third year both got 3rd place in Math IV and III quiz, April Joy Peligrino from second year and Roygie Loreno from first year both settled for 4th place in Math II and I quiz. In Science quiz, Sweetzel Dyne Morales got 6th place. Regidor qualified for the Regional Quiz Fair at Matanao Davao del Sur. The Filipino and English Department established the reading center purposely, to help students who need improvement in reading comprehension. They filled the center with comics, books, magazines and other reading references in order for the learners to practice their skills in reading. “There will be no students left behind,” is one of the objectives of school foe the students, thus, they will exercise more on reading to develop critical thinking. 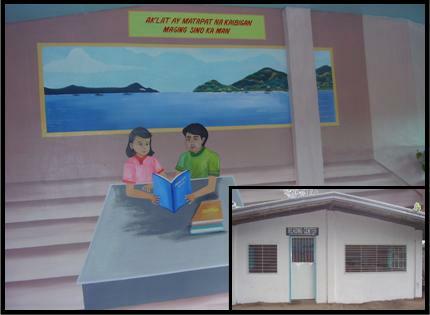 The said reading center will not be realized without the cooperation of the students, the painstaking efforts of Christian Pasion, the President with the rest of the officers of the Filipino and English Club as well as the coordinators Mrs. Maribeth L. Albinda (Filipino Department) and Mrs. Mirabel P. Millan (English Department).